Car traveling for work is increasing with population of Czech Republic. According to a survey conducted by KPMG there are already 40 percent. However, ten years ago there were about 12 percent less. Public transport in the current survey ranked second place, while walking on foot more people than they commute by bicycle. The use of personal vehicles goes by KPMG across populations, regardless of income or education. Most car people commute to work without graduation, more than 48 percent, while 36 percent of college students. Auto exploration remains dominated by men the way to work them half full of twists the steering wheel, while the brakes are less than a third. What is surprising is how car use for travel to work is increasing. Ten years ago, according to the survey used the Center for Public Opinion Research (Public Opinion) car for commuting to work, only 28 percent of Czechs, now it is already 40 percent. "Research shows that people now commute to work at much longer distances than before. And often the places or in places that are difficult to transport available. 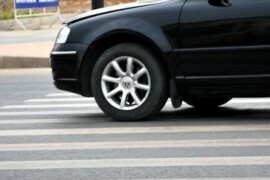 Therefore, the use of cars in many cases understandable, "comments Otakar Mountain of KPMG Czech Republic. Public transport, both urban and inter-urban, uses 35 percent of the population of the Czech Republic. According to the survey even more people go to work on foot (11, 3 percent) than it sits on the wheel (6, 3 percent). However, the use of the bicycle by mountains especially in cities much more potential. "Number one topic for the departments of transport each city should be building and development of quality cycling infrastructure that would increase road safety and encourage the use of bicycles as a means of transport," says Hora. Half of the respondents in transport fits into hundreds of dollars per month. Due to the financial crisis, then the type of transport had in the last two years to change a fifth of people. To a child without allergies? Help pacifier!